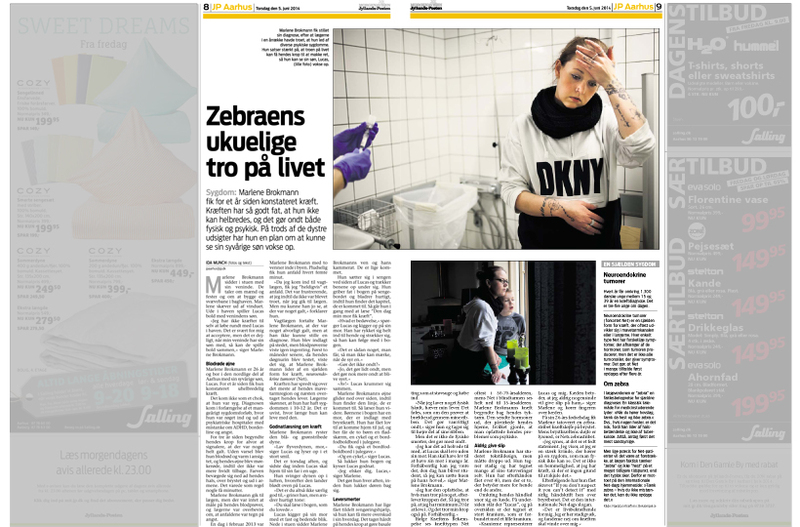 This is the layout of my article and photos about Marlene Brokmann and her fight against cancer. 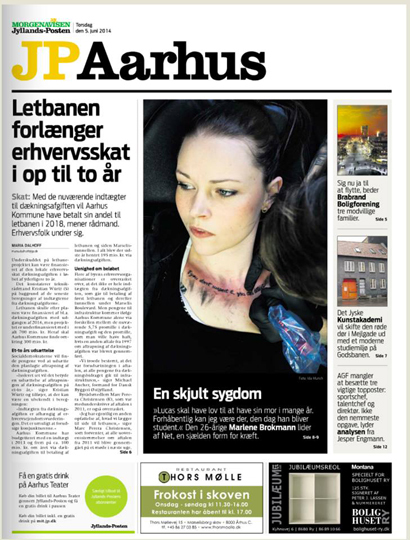 It was brough in JP-Aarhus, Jyllands-Posten, June the 5th 2014. You can also see my whole photo-project about Marlene, and read a bit about it (in english) under “Marlenes zebra-liver” on this website!